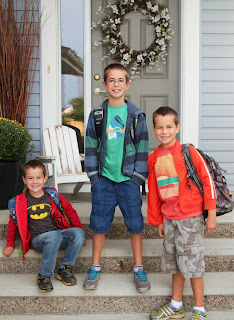 It's hard to believe that all 3 boys are in school this year! Where has the time gone?!? 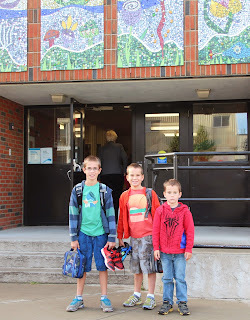 The boys were both nervous and excited for their first day of school. Jakob - Grade 6, Levi - Grade 3 & Zack - Kindergarten. 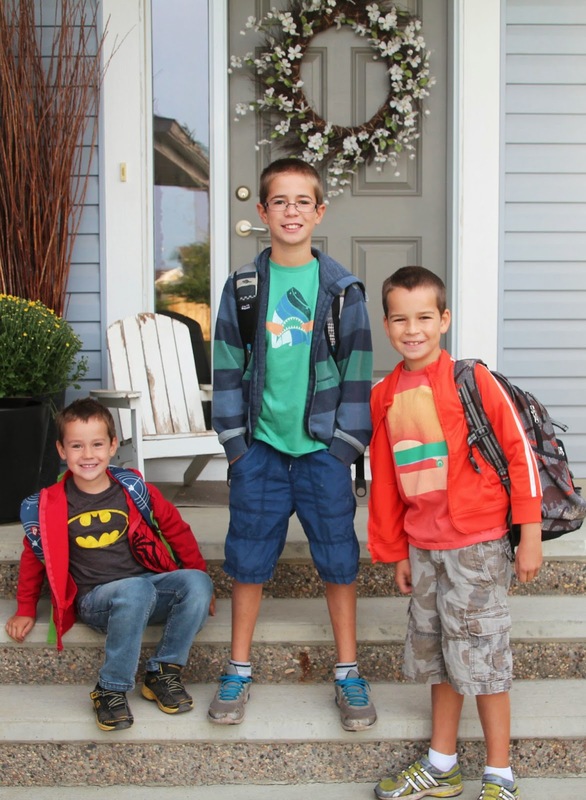 Zack was all ready for his half days in Kindergarten.